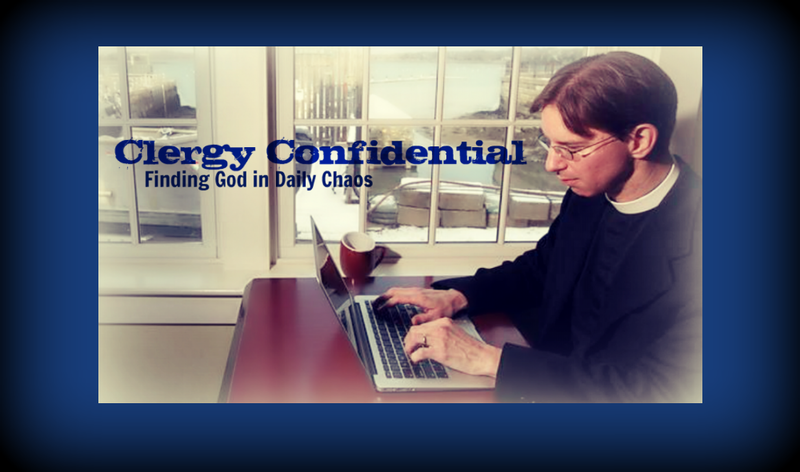 Clergy Confidential: 8 Christmas Eve "Welcoming Tips"
8 Christmas Eve "Welcoming Tips"
Hark! Christmas Eve is well nigh upon us! And this day offers congregations a unique opportunity to welcome and show Christian hospitality to visitors, seekers, strangers, and seasonal attendees. It's an exciting time to be in parish ministry and, while there's much to get done, it's also the very reason most of us have dedicated our lives to serve the church. As my curate likes to say, "This is our Super Bowl!" 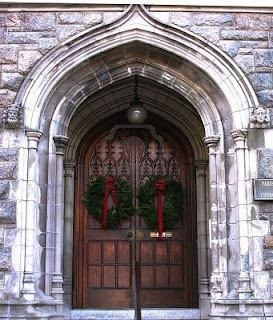 There are some wonderfully creative ways to reach out to people and welcome them to your parish this season. From social media to musical offerings to invitational preaching, the options are abundant. The folks at Building Faith have had some good tips over the years and I encourage you to check them out. To enhance the conversation, I thought I'd add a few additional tips for parishes to help make visitors feel particularly welcome on this most holy night. Definitely try at least a few of these and I guarantee your church will be the talk of the town. 1. Instead of the bride's side and the groom's side, have ushers ask whether people would prefer the "actually a parishioner side" or the "who are you we've never seen you before" side. This will come in handy when the preacher later brings up separating the sheep from the goats in the sermon. 2. Refer early and often to "those people" who have "not darkened the door of the church" along with the phrase "You know who you are!" 3. Judge rather than help people who have trouble navigating the Prayer Book/Hymnal/Bulletin juggling act. Snicker when they try to find Hymn 100 ("Joy to the World") but can only find S-100, that ever joyful plainsong version of the Trisagion. 4. At the announcements, remind everyone in the congregation (in a sarcastic tone) that you really do hold services more than once or twice a year. Also, toss around the term "communicant in good standing." 5. Make no mention of Christmas Eve services on your website or church answering machine. Or, if you do, make sure you've changed the service times since last year. Nothing says "Ho, ho, ho" quite like showing up just in time for the dismissal. about appearing foolish or "doing the wrong thing" ratcheted up as high as possible. 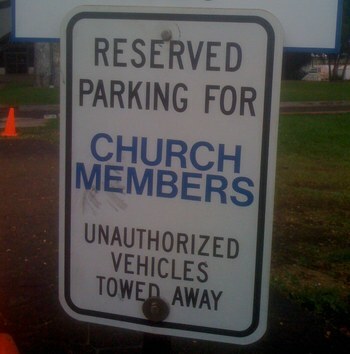 Don't forget to correct anyone who says "thank you" after receiving the host by hissing "you mean 'amen.'" 7. Encourage parishioners to come in a few days before Christmas to drape coats over their regular pews to reserve them. 8. Keep the large front doors locked since everyone knows you go through that side door near the kitchen to get into the worship space. Well, I hope this has given you a few extra ideas to make your guests feel welcome on Christmas Eve. What's the worst that could happen? They'll just try a different church on Easter.